On October 13, 2018, Caleb traveled to New London, CT to take on the New London County Rugby team by himself. Unfortunately for Caleb, the game had been cancelled the night before due to the field flooding. The same match had previously been cancelled a few weeks prior due to the same reason. One might think that these prior circumstances would lead to a player checking the team WhatsApp to confirm that the game was still going forward after a wet and rainy week. However, match secretary Zach only posted in 1 of the teams' 2 identical chat groups, and in none of the 2 identical Facebook groups, leading to massive confusion and an unnecessary car trip (for 1 player). The rest of the team played a delightful game of touch rugby on Briggs field to work in some fitness. Caleb did not make it out, as he was done commuting for the day. 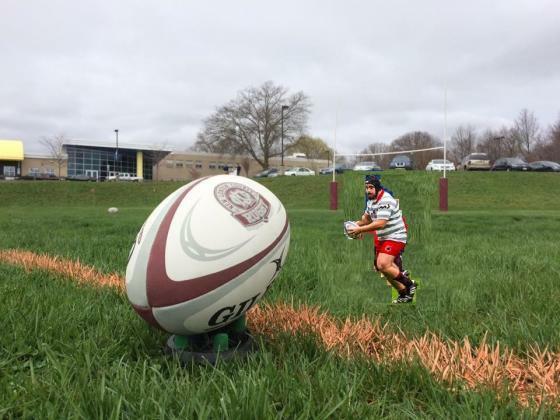 MIT travels to Stowe, VT next weekend to take on Mad River RFC.